Truck Accident Personal Injury & Wrongful Death Lawyers San Gabriel, California! Need Trusted Legal Expert Attorneys To Handle Your San Gabriel Personal Injury Or Wrongful Death Claims? Our San Gabriel truck accident lawyers have been in the legal industry for over 40 years now and concentrate in personal injury and wrongful death claims. We offer FREE consultations and with our personal injury and wrongful death lawyers there is NO fee until you win! Featuring a group of experienced and aggressive truck and car accident attorneys, serving in San Gabriel, Los Angeles and all of California, our injury accident lawyers make special efforts to preserve the legal rights of our clients and go all out to procure maximum settlements for them using our years of experience with thousands of successful personal injury & wrongful death case recoveries. Our lawyers are well-versed with the applicable law and work towards bringing justice to our clients dealing with San Gabriel truck accident personal injury and wrongful death claims. Why Should You Choose Our Personal Injury & Wrongful Death Lawyers and Law Offcies to Handle Your San Gabriel Truck Collision Case? Settled or tried thousands of cases with millions of dollars in recoveries with a success rate of over 95%. Graduate of the UCLA School of Law. Served as Arbitrator with the Los Angeles Superior Court. Received awards for Personal Injury Attorney in 2010 and 2014. Recovered damages of over $100,000,000.00 for our clients. Received awards for Personal Injury Law Firm in 2011 and 2014. Vehicle Repairs: Many road accidents leave your vehicle in need of repairs. We help you with tow, storage, repairs and settlement of total losses. Medical Care: Traffic accidents cause a pressing need for medical care. In addition, certain medical procedures such as MRIs and CTs are often needed. Sometimes prescription medications, dental care or psychological counseling are needed. We help our clients with all of that and find medical experts, including orthopedic surgeons and neurologists, who deliver necessary treatment and usually work on a medical lien which means they wait for payment until your case is resolved. Cash Advances/Emergency Loans: In many instances, a car or truck accident can be detrimental to your financial state—from incurring large hospital and other medical bills to losing time from work with resulting loss of earnings. We understand this. In such situations, we assist you in obtaining cash advances or emergency loans. Transportation to Doctor: We can help you obtain medical care and if you need transportation we usually can arrange for you to be picked-up and taken to your doctor! If you need this or any other help, just let us know. Reach out to us for a truck accident or personal injury counseling in San Gabriel, CA. Simply click here to reach us 24/7 just Further, to gain an insight into our lawyer profiles just click here. In case you want to learn about the sometimes complex process of truck accident claims, take a look at our Truck Accident Web Site; and for specific information and advice about your particular truck or car accident case, just call us now at 818-222-3400 or 1.866 INJURY 2 (after hours, PRESS “1”). 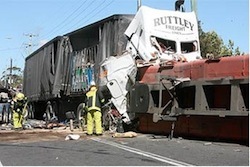 Truck accidents can cause devastating injuries in San Gabriel. San Gabriel is a city in Los Angeles County, CA, and was named after the Mission San Gabriel Arcángel. San Gabriel has a total population of 39,718, as per 2010 US Census. 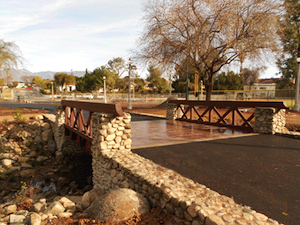 San Gabriel stretches across a total area of just 4.1 square miles and its neighboring cities include San Marino to the north, Rosemead to the south, Alhambra in the west, and Temple City in the east. 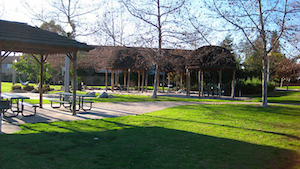 Some of the top tourist attractions in and around San Gabriel are, to name a few, Vincent Lugo Park, Grapevine Arbor, Smith Park, Ernest E. Debs Regional Park, The Huntington Library (where the famous Blue Boy painting is displayed, with gorgeous gardens to enjoy), Pyrenees Castle, Public Art "Gateway to the San Gabriel Valley", Alhambra City Yard, and Eaton Canyon Nature Center. Rick Aguilera, a former Major League Baseball (MLB) pitcher was born in San Gabriel, California. Also, Ken Gushi, a motorsport competitor, attended Gabrielino High School in San Gabriel, California. Moreover, Bill Mumy, a famous American actor, was born in San Gabriel, CA. For a quick legal counseling, fill-out the details 24/7 in our contact us form and familiarize us with your San Gabriel, CA truck accident case. Send our accident injury lawyers an email at info@WalchLaw.com. Besides offering a FREE consultation, there’s NO FEE until You WIN! We work on contingency fees on truck & car accident injury cases so do not worry about money—Call us now so we can help you now!